Big Box Storage, Inc. is pleased to offer you a $50 discount on your first month's storage rent. 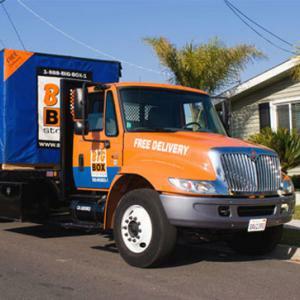 Have one or more "Big Box" storage units (each measure 8' x 5' x 7') delivered right to your San Diego (and surrounding areas) address, load it at your own pace, and it'll be picked up for indoor storing at the company's local facilities. Just mention promo code 50YP to receive your instant $50 savings!